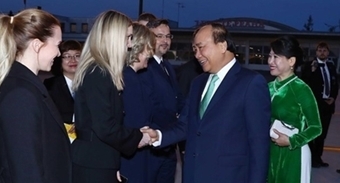 That is the first official visit to China by PM Phuc and also the first trip to the country by a senior leader of Vietnam’s Party and State after the 12th National Party Congress in January. In Beijing, the Vietnamese leader met with Chinese Party General Secretary and President Xi Jinping and had talks with Premier Li. He also had meetings with Chairman of the Standing Committee of the National People's Congress Zhang Dejiang and Chairman of the National Committee of the Chinese People's Political Consultative Conference Yu Zhengsheng. He also met representatives of many Chinese organisations, families of China’s former experts who assisted Vietnam during the resistance wars, local entrepreneurs, along with Vietnamese expatriates in the country. During the talks and meetings, the Vietnamese and Chinese leaders reached broad common perceptions on intensifying the Vietnam-China comprehensive strategic cooperative partnership, and exchanged viewpoints on international and regional issues of shared concern. They agreed that the two countries will persistently respect each other and increase strategic dialogue exchanges, political trust and win-win cooperation. They will control and satisfactorily handle existing disagreements and arising problems, while fostering the healthy and stable development of the comprehensive strategic cooperative partnership, thereby practically benefiting the two peoples and contributing to peace, stability and prosperity in the region. The two sides agreed to seriously implement the bilateral agreement on basic principles guiding the settlement of sea-related issues, and, together with ASEAN countries, comprehensively and effectively carry out the Declaration on the Conduct of Parties in the East Sea (DOC), and resolve disputes by peaceful measures on the basis of international law, including the 1982 UN Convention on the Law of the Sea (UNCLOS). Vietnam and China pledged to respect diplomatic and legal processes, consult and negotiate to reach agreements, and soon build a Code of Conduct (COC) in the East Sea. They will control sea disputes well, avoid actions that complicate or expand disputes, not conduct militarisation, while keeping peace and stability in the East Sea. During the visit, the two sides issued a joint communiqué and inked a number of important cooperation documents. Before setting foot in Beijing, PM Phuc attended the 13th China-ASEAN Expo (CAEXPO) and China-ASEAN Business and Investment Summit (CABIS) in Nanning city of Guangxi province. 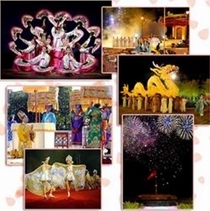 He and Zhang Gaoli, a member of the standing board of China’s Politburo and Vice Premier, chaired the opening ceremony of Vietnam’s national pavilion “City of Charm” at the CAEXPO. He also met with Secretary of the Party Committee of the Guangxi Zhuang Autonomous Region Peng Qinghua, chaired a roundtable conference with Chinese entrepreneurs, and visited Nanning Yucai School and the Bagui Tianyuan high-tech agriculture zone. In Hong Kong, the PM met with Chief Executive of Hong Kong Leung Chun Ying and Chief Secretary for Administration of the special administrative region Carrie Lam Cheng Yuet - ngor. 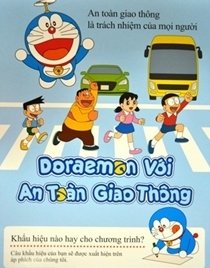 At the meetings, PM Phuc stressed that Vietnam and Hong Kong need to continue to promote existing cooperation mechanisms, step up negotiations on an ASEAN-Hong Kong free trade agreement, and take effective measures to facilitate partnerships in economics, trade, investment and tourism. He also took part in the Hong Kong-Vietnam business and investment forum and witnessed the signing of cooperation agreements and trade contracts with a total value of nearly 10 billion USD. He had working sessions with executives of global investment and financial investment consultation funds based in Hong Kong such as State Street, Morgan Stanley, and Capital Group. 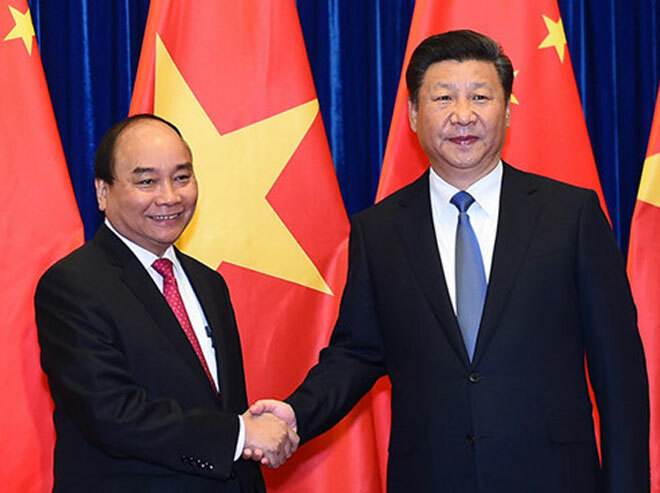 PM Phuc’s official visit to China and his participation in the CAEXPO and CABIS are important to augmenting the Vietnam-China comprehensive strategic cooperative partnership.